Getting traffic to your website through social media networks is not limited to Facebook, Twitter and LinkedIn. Bookmarking sites are also a proven way to help draw traffic and they have their own benefits including being able to specifically target those who are most likely to be interested in your products and services in ways that a more “general approach” social media site doesn’t allow for. 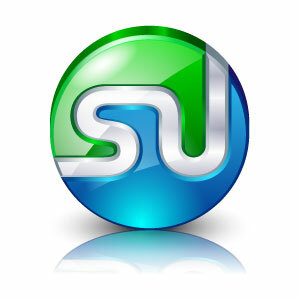 Stumbleupon in particular gives a steady increase of traffic to your site and has features that allow you to join specific groups that are interested in the same topics in order to help with your efforts. Stumbleupon works by allowing you to bookmark your favorite webpages and also “Stumble” through websites that fall into the category you choose. As you Stumble you can like and like and share to your other social media sites if you so choose. You can also make comments for other Stumbleupon users to see. The pages you have stumbled will show up in other people’s rotations as well, allowing them to do the same which adds engagement to your site along with the additional traffic. In order to stumble pages on your website you need to create a StumbleUpon profile and all the best practices of creating profiles are the same with this one including uploading an image and filling out a complete profile. From that point you can stumble any number of pages on your website and choose the most relevant category for it to show up in. You can also add a description and tags to better represent the page and help others find it easier. When this is done it will show up for other stumblers. It is important when using StumbleUpon, and any other social bookmarking site that you remember to include other sites besides your own. Only about 20% of the bookmarks you create should reference back to your own site, otherwise you will look as if you are only there to promote your site and that is not well received in the bookmarking communities. You can stumble sites that have complementary or relevant categories that your site would show up in and still avoid your direct competitors. This will help you build a reputation in the bookmarking community and others will be more apt to engage with your site. This type of social media marketing activity it cost effective and the amount of time you put into it is up to you, about once a week for twenty minutes or so could be all it takes to end up getting hundreds of new, targeted visitors to your website.